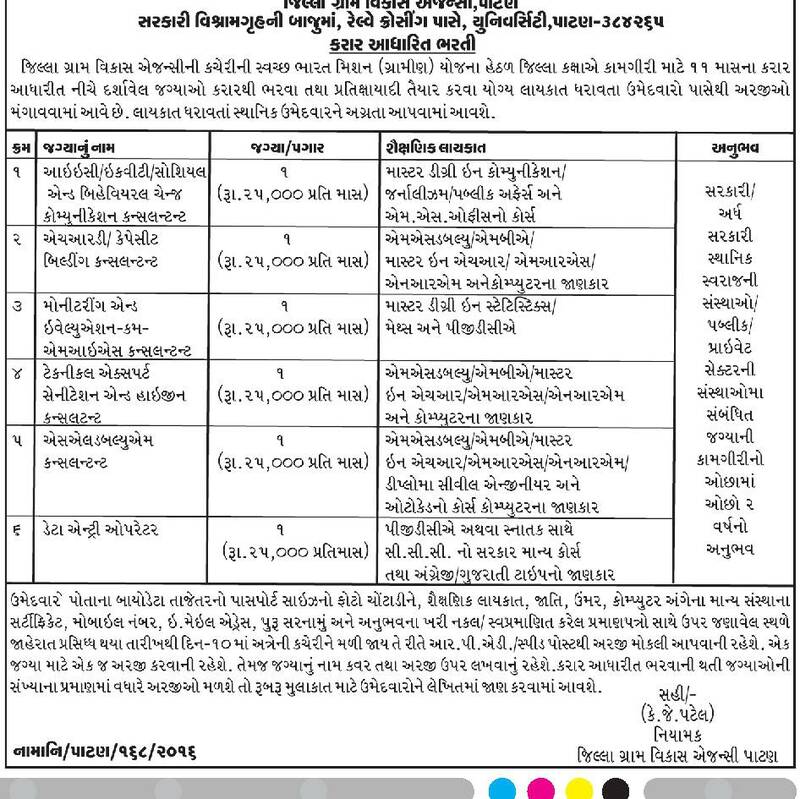 District Rural Development Agency (DRDA), Patan has published a Advertisement for below mentioned Posts 2016. Other details like age limit, educational qualification, selection process, application fee and how to apply are given below. Qualification : PGDCA OR Any Graduate with CCC govt. approved course with Gujarati / English Typing knowledge required. Address to sent Applications : District Rural Development Agency, Nr. Government Rest house, Nr. Railway Crossing, University Road, Patan.